A sketchcrawl held on the International Women Day (how come there is no International Men Day??) 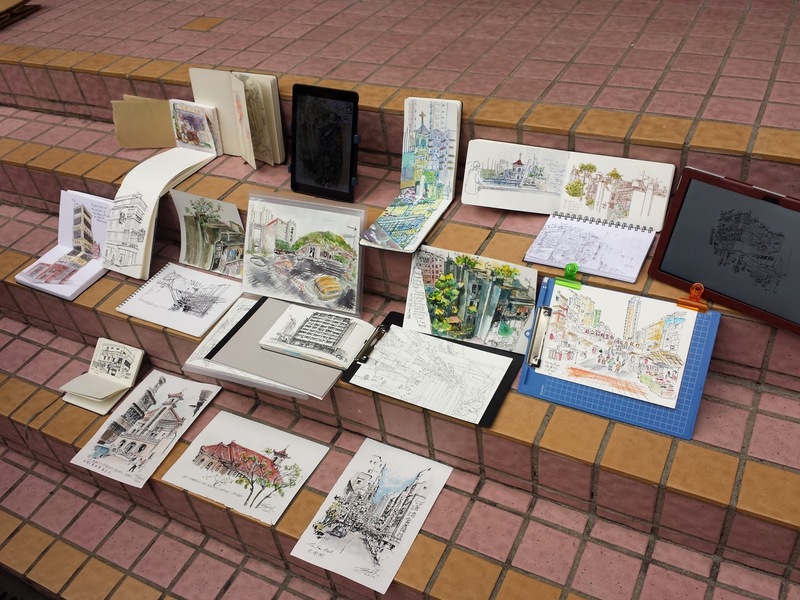 Anyway, we went to sketch in Shamshuipo, an old district in Kowloon side. I came in late, so I picked a relatively easy subject in the morning. A long elevation of a portion of Nam Cheong Street. After a traditional lunch at the nearby DaiPaiDong, I found a narrow angle to sketch the St. Francis Church. I like it's Chinese-Western Style which quite fits the area. You can read more story from our fellow group director Rob's site. 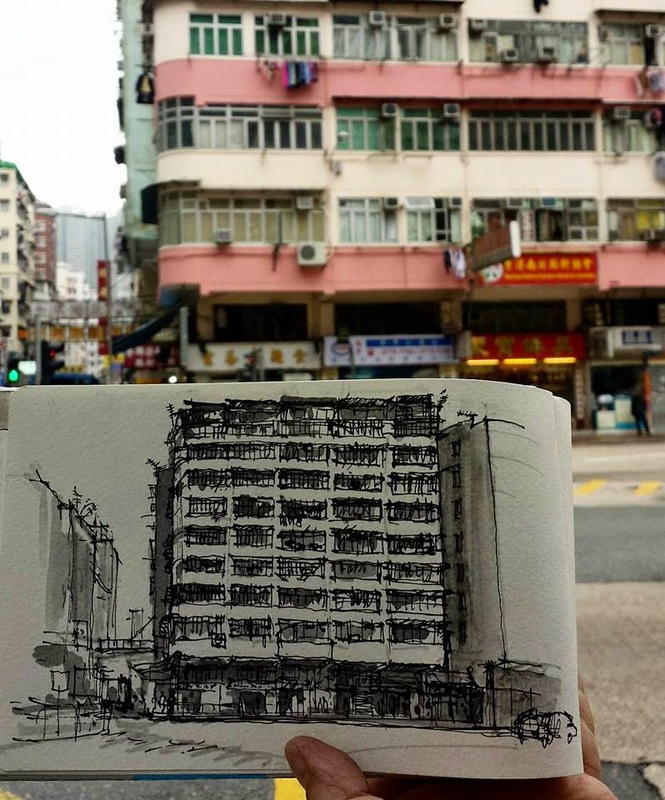 The last sketch I made was a typical high density building situated on Un Chau Street. Sketching it from a distance required a lot of give and take since there are so many things you can put into the sketch.